How many times have you been good only to get to the scales and drop little or nothing? How many times have you been great for the whole week but one event or night out sabotages all your results? There is a fundamental problem in all weight loss – we have huge expectations for weekly results, but we underestimate what this takes and how different things can sabotage our results. 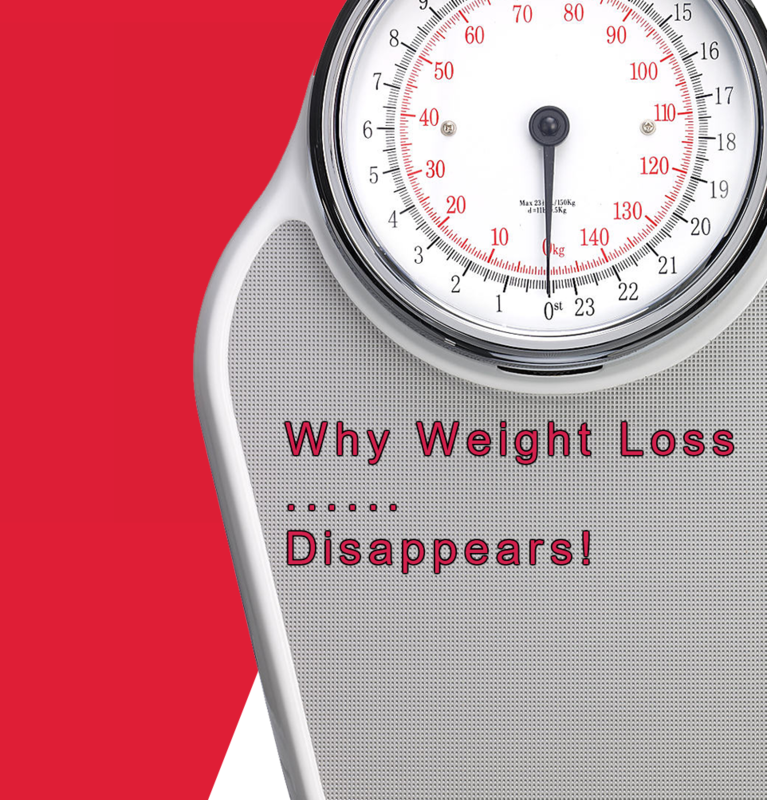 On top of all this, we often break the number ONE weight loss rule of all – precise tracking! Let me explain what is happening. The basic rule of weight loss success is to create a daily calorie deficit by cutting calories from what you need to maintain your current weight to what you need to cover basic body needs (health and energy etc). Depending on your current weight the daily deficit typically ranges from 800 to 1200 calories. With lower weights e.g. 9 or 10 stone the deficit is about 800/900 calories daily whereas with higher weights e.g. 14 or 15 stone the deficit is about 1100/1200 calories daily. Exercise helps improve this deficit by on average 400 calories per day if you train 4 times per week and the calories divided over the 7 days, so the deficit range is now about 1200 calories for lower body weights and about 1600 calories for higher body weights. Here is where it gets very interesting! With everything set up and the daily deficit planned (1200 to 1600 calories depending on your start weight), the magic should just happen, right? Well yes, but here is the real problem, there are a host of things that can sneakily reduce this deficit and at the end of the day or week reduce the overall deficit to such a small amount that little or no weight loss happens. Here is a list of some of the biggest factors that sabotage your calorie deficit. The costs below are just estimates (however they are conservative estimates) as the real costs vary enormously from person to person, but I just wanted to give you an idea of what is happening! (Age) An older body with wear and tear slows your metabolic rate! The older you are the bigger the impact! Estimated cost – 200 calories off your deficit daily! (Stress factors) Throw in a tough day with high-stress hormone levels and this slows the metabolism rate. Estimated cost – 150 calories off your deficit that day! (Fatigue factors) Along draining day or poor sleep slows the metabolism. Estimated cost – 200 calories off your deficit that day! (Metabolism problems) Many people have undiagnosed metabolism problems e.g. slow thyroid, estrogen dominance, adrenal fatigue and insulin resistance to name a few. Estimated cost – 200 to 400 calories off your deficit daily! (Nutritional deficiencies) I can’t stress strongly enough the cost of any missing vitamin or mineral and how it hits the metabolism. This is a massive factor and the costs can be huge depending on the deficiency. Estimated cost – 200 to 400 calories off your deficit daily! (Tweaking) Then you make a few small changes to the plan that should be harmless. Estimated cost – 150 calories off your deficit daily! (Deadly hidden calories) Then the hidden calories you are totally unaware of if eating out, someone else does some cooking for you or you have not checked the labels! This is a massive problem to watch! Estimated cost – 300 to 600 calories off your deficit on that day! (Alcohol) Even one drink above our limit severely cuts your deficit that day due to the severe metabolic impact of excessive alcohol. You must multiply the calories in that drink by 2 to measure the true cost. So 1 large glass of wine extra = 200 cals but reduces your deficit by 200 x 2 = 400 calories that day! (Medications) Some medicines can seriously affect the metabolic rate especially anti-depressants and sleeping pills. Estimated cost – 150 calories off your deficit daily! (Caffeine and Sweeteners) If you take in lots of caffeine in a short few hours it stunts your metabolism. Likewise, you might be eating low sugar but getting lots of sweeteners throughout the day. Either of these factors limits your weight loss metabolism. Estimated cost – 150 calories off your deficit daily! On top of all this, you may not be tightly tracking your plan or weighing your food, so another 100 or 200 calories disappear from your deficit daily! Now you can see JUST 3 or 4 of these items can reduce your deficit by 800 calories daily. If you were working off an 1200 daily calorie deficit to begin with, you are now down to a 400 calorie deficit daily. Scientifically it takes a daily of 500 calories to lose 1lb of fat per week – so this person will now lose just 0.8 lbs weekly which probably will not even show on the scales if there is a bit of fluid retention. A larger person working off a deficit of 1600 calories daily will now be down to 800 calories daily which would get them to lose just 1.8 lbs weekly which they would probably consider being a very poor result for their huge size and effort. Look at the list above and see how many of these factors apply to you! Become more aware of the factors! Put HUGE emphasis on the BIG things that will help you create a much greater deficit and make your margin for error much bigger for all of the above factors. These are…….. Toning – Work very hard on your toning work. Toning drives your metabolic rate through the roof! The more tone you have the higher your metabolism goes! Nutritional factors – Make sure to get the core recommended nutritional supplements to avoid deficiencies at all costs! This can help with a multitude of the above factors! Finally, create a focus list of what critical factors above you are going to change now! 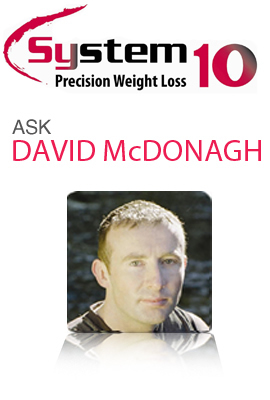 If you have any questions about anything above please email me at david@system10.ie and I will reply. The System 10 program is about fixing these common metabolism problems that hugely control your weight loss. Fixing these metabolism problems gives you much easier and faster weight loss. It also gives much better weight loss because you burn real fat and get at stubborn fat areas including stubborn cellulite and can keep the weight off much easier afterwards. Don’t miss my NEW online plan starting soon where you can lose 10+ lbs in 25 days or 20+ Ibs in 50 days and get an amazing change in shape because it is real weight loss. Click here for more details. Alternatively, arrange a one to one consultation in your nearest clinic by clicking here. You can find more articles here on health, fitness and weight loss.